A Deep well hand pump is used when the static water level (distance between the top of the ground and top of the water level) is more than 20 meters. In most cases, the pump cylinder is installed at least 20 meters below the static water level and connects to the wellhead through a series of PVC pipes and stainless steel lift rods. 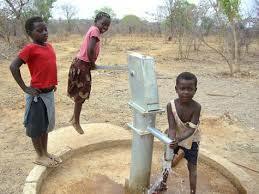 Since these pumps draw water from deeper than usual levels, it is necessary that they are sturdy and strongly built. 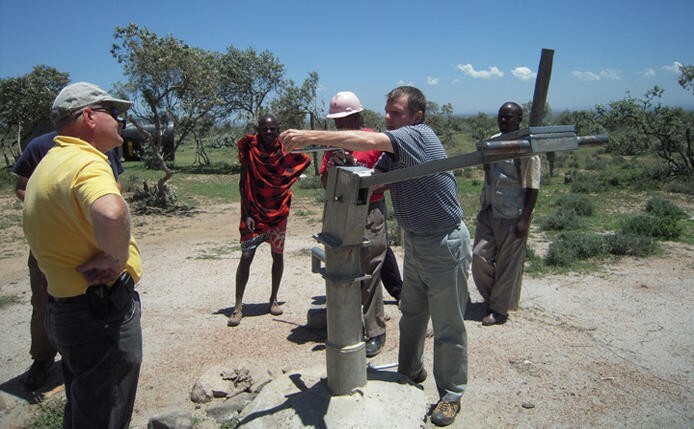 The deep well hand pump can be installed in bore wells of a diameter of minimum 125mm and the internal diameter of the underground cylinder ranges from 60-65mm. the stroke length ranges from 120-130mm. these hand pumps give a water discharge of 12-15 liters per minute of 40 strokes, and an average of 900-960 liters per hour. The maximum depth of operation of these hand pumps is 30 meters. These pumps are self-priming and do not require routine maintenance. Also, they are available in different grades and dimensions, which can be customized as per the client requires. 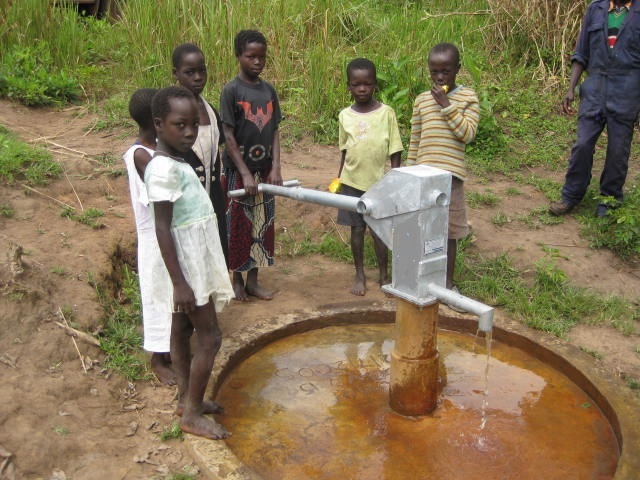 This pump has excellent “community management potential” and can be easily installed and repaired by a village caretaker or women, making it popular with small communities. The above ground parts of the pump can be locally manufactured, but the rest of the components require a high degree of manufacturing quality, which is not available around the globe. So in some countries, these components need to be imported. However, imported components require strict quality control and check to increase the lifetime of the hand pump, and considerably reduce wear and tear of parts and disuse due to corrosion. Deep well hand pumps manufactured at Aakash International offer optimum quality through excellent craftsmanship and stringent adherence to industry standards. The raw materials required to build these products are acquired from trusted industry vendors and are integrated with advanced working mechanisms. Apart from that, strict quality control methods are followed during the manufacturing of these products, which ensures that only the best quality reaches the customers, at modest and affordable prices. The sturdy design and inbuilt strength of the product warrants that maintenance costs are low and constant replacing of parts are not required. Additionally, comprehensive and detailed user manuals are provided to ensure hassle-free and easy installation of the product.